My copy-editors have started their review; one focusing on text, the other on images. 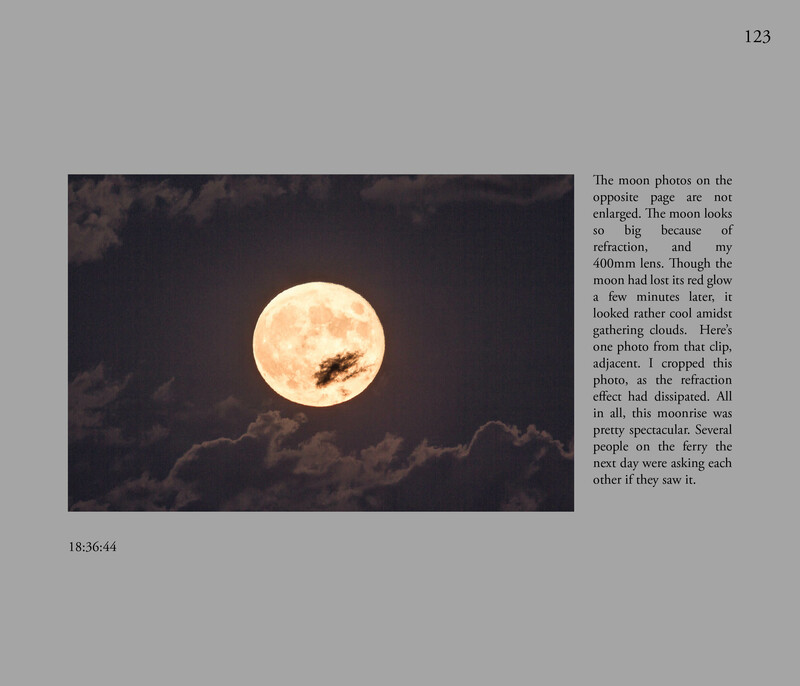 Here are a couple of pages from the manuscript showing the full moonrise during October 2014. These are some of my favorite images from your collection. Mosquitoes came out in droves just after sunset, but worth it. 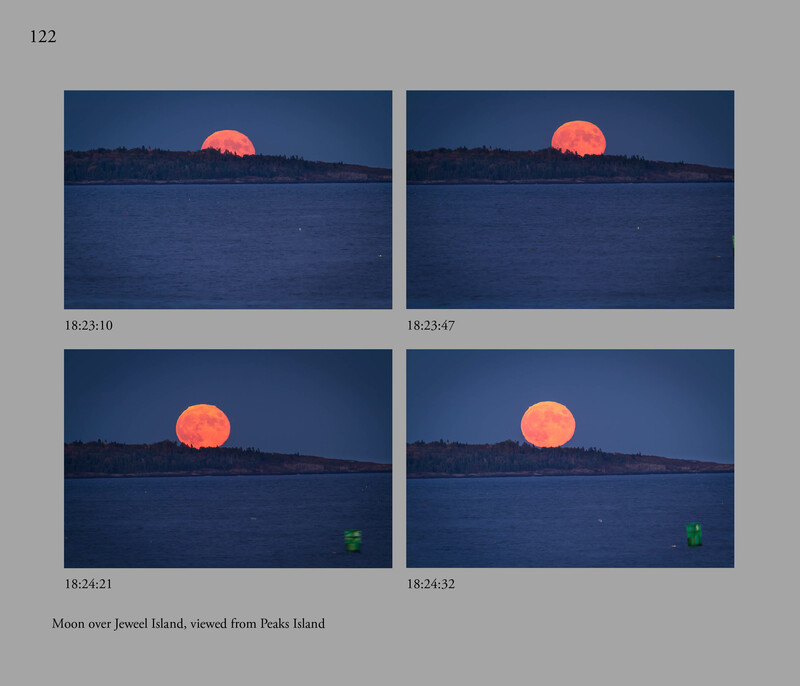 It was my 3rd try for the full moon last year.